The all-new paranormal noir series by Rucka and Scott launches just in time for Halloween. 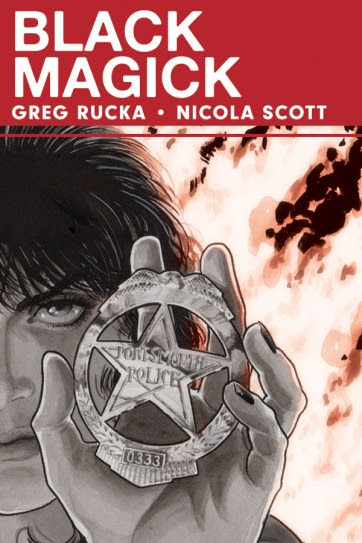 New York Times bestselling and Eisner Award-winning writer Greg Rucka (LAZARUS, Stumptown, Gotham Central) and superstar artist Nicola Scott (Birds of Prey, Secret Six, Earth 2) team up for BLACK MAGICK—a new gothic-noir ongoing series about legacy, destiny, redemption… and the price of magic. The new series was first announced at Image Expo and launches from Image Comics on Wednesday, October 28th, just in time for Halloween. BLACK MAGICK #1 will be available on Wednesday, October 28th. Cover B by Jill Thompson. A magazine-size variant by Rich Burchett will also be available.